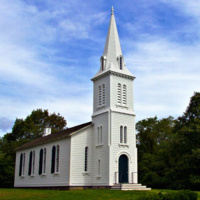 Community lectures, open to the public, Mondays in August, 5:00-6:00 PM, at the South Ferry Church on the URI Bay Campus. Sponsored by the Friends of South Ferry Church. August 4, 2014: Speaker Gary J. Tearney, MD, PhD – Professor of Pathology at Harvard Medical School and a Massachusetts General Hospital Research Scholar. He is also the co-chair of the Research Advisory Board of the Institute for Aging Research. His topic will be “A Fantastic Voyage Inside the Human Body." August 11, 2014: Speaker Nancy Dwight – Chairperson of Dwight Partners. She was Executive Director of the National Republican Congressional Committee after serving as the committee’s Campaign Director for the historic 1980 election cycle. Her lecture will be titled “Election Outlook- 2014 and Beyond." August 18, 2014: Speaker Porter J. Goss – Former Director, Central Intelligence Agency. He has five decades in public service and is recognized as both a leader and an expert in national security, international affairs, local government and conservation. His talk will be entitled “Current and Future Security Threats." August 25, 2014: Speaker Bongsup Cho, PhD – This lecture will take place at Dr. Cho’s lab at the main campus of University of Rhode Island. Dr. Cho is passionate about using 3D printing and animation technology to help facilitate learning about drug action. His lecture will be titled “3D Technology in Higher Education."